Piano From Zero To Pro - Beginner Essentials To The Piano | Free eBooks Download - EBOOKEE! Do you struggle from days to months to learn only ONE new song? Everyone starts somewhere, and this course is the first step for you! Do you want to play all your favorite songs on the piano and be the center of attention? Have you considered learning how to play piano but don't know WHERE to start? Hi, I am Amos, owner of Amosdoll Music on YouTube with over 400,000+ subscribers and over 100,000,000 view counts where I have played over 1000+ completely new songs by ear within the time frame of a year. 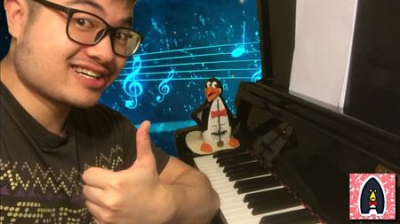 Nowadays, you can find piano teachers everywhere (I swear there is a least 1 every street here in Australia), but very little amount of teachers can truly teach how to play any song by ear, let alone DO it for themselves. However, I am for one that "preach what I teach" as I can play ANY completely new song that I haven't heard before by ear in modern day music ranging from video game songs, English/Chinese billboard songs, Kpop, movie soundtracks (and everything that you could think of) simply with my series of methods in LISTENING, and implementing melodic/harmonic/rhythmic improvisational techniques to learn ANY song within 10-20 minutes! Wouldn't you love to do that too? Playing by ear doesn't just come instantly in a snap of the fingers (those is all lies if others promote you that). Because without these foundations, nothing would make sense in my other courses, and that is why many people guess and check the keys (which is the wrong way!!). This "BEGINNERS" course provides ALL my tricks, foundation knowledge and essentials in music theory and form needed before achieving all this awesome mastery. For people who are completely new to music, this course strongly secures all your foundations. For people who know a little knowledge already, this course fills in all the holes and gaps you are missing. If you are self-taught (taking bits and pieces from the internet), then this is for you because this is a fully structured course which fills in all the "gaps" missing that are required to prep for playing by ear later on. No comments for "Piano From Zero To Pro - Beginner Essentials To The Piano".